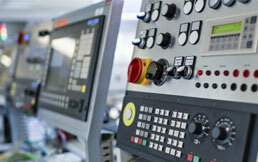 Our PLC courses are designed to train professionals who identify themselves as PLC Technician. Thanks to our experienced technicians, we can offer our training services to businesses, individuals, and schools. The completion of this form does not bind the candidate to participate. After completion, the candidate will be contacted and an enrollment form will be sent to him via email, where the candidate formally agrees. The courses are bound to reach the minimum number of participants (5 candidates) to whom the starting dates of the courses will be communicated. At that point the candidate must confirm his presence by paying a deposit equal to 30% of the cost of the course as a guarantee. Our PLC courses are designed to train professionals who identify themselves as PLC Technician Programmers. PLC programming 1: comprensione di base della programmazione PLC, principio di funzionamento degli I/O, configurazione CPU, configurazione hardware e sistemi di bus campo, presentazione dei diversi linguaggi di programmazione, indicizzazione programma per la visualizzazione di dati su pannello operatore. Thanks to our experienced technicians, we can offer our training services to businesses, individuals, and schools, for the preparation of robot technical programmers.